Lenovo acquires Motorola Mobility from Google for $2.91 billion | What Hi-Fi? Google offloads Android smartphone business to Lenovo as it believes the Chinese computer manufacturer will do a better job of producing handsets. After buying Motorola Mobility just 19 months ago, Google has now agreed a deal to sell the business to Chinese computer manufacturer Lenovo for $2.91 billion. Google closed the deal to acquire Motorola back in May 2012 for $12.5 billion, but it has sold it on again, saying that "...it helps to be all-in when it comes to making mobile devices." "It's why we believe that Motorola will be better served by Lenovo." The $2.91 billion will be split into three parts: $660 million in cash; $750 million in Lenovo shares; and the final $1.5 billion paid in a three-year promise. Google will still retain the vast majority of the the patents it had acquired from Motorola Mobility. One reason for the sale is that Motorola was costing Google too much money; $248 million last quarter. Google states that this loss was "-21% of Motorola Mobile segment revenues." It compares to the $192 million loss suffered in the same quarter last year. 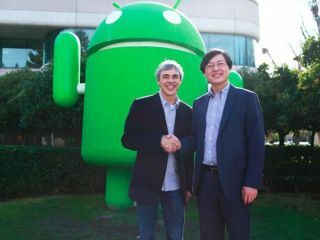 Larry Page, CEO of Google, said: "Lenovo has the expertise and track record to scale Motorola into a major player within the Android ecosystem. They have a lot of experience in hardware, and they have global reach. "Google will retain the vast majority of Motorola's patents, which we will continue to use to defend the entire Android ecosystem. "As a side note, this does not signal a larger shift for our other hardware efforts." So we can still expect Google produced hardware, like the Nexus devices, in the future. Google has also held onto Motorola's experimental projects; Project Ara, password tattoo and pill. Two Motorola smartphones have been released by Google during the past two years: the Moto G and the Moto X. Both smartphones consisently received favourable reviews, with many saying that the price-to-performance ratio of the Moto G was far greater than its competitors, including Google's own Nexus 5. The Moto X meanwhile, while not equipped with the latest hardware, utilised "touchless controls" and could still be considered a "high-end" smartphone. Fresh smartphones and tablets are expected to be announced at MWC 2014 later this month, and we will be reporting live from the show.